Well qualified applicants will have deep experience in the latest libraries and programming techniques. You will have accomplishments that showcase your capabilities by their success and technical depth. You might also have a chance to use React Native, Electron, and Ionic. We are a completely remote team. That means we have a large amount of trust and a lot of flexibility. World travellers, young parents, nature lovers, and commute avoiders love working here. Manage your own desk successfully with Clevertech’s support resources - learn how to manage your time, organize your digital life, etc. We also will pay for a co-working space in case you feel like working outside of your normal setting. We insist that you take recharge time. This means, you’re required to take at least two weeks per year to refresh, plus you’ll have the day off for major holidays and that includes your birthday because your existence is worth celebrating! Kick that consulting/agency work stigma out the door! 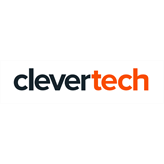 We’re looking for future Clevertech Brand Champions - a majority of our developers have been here for 4-7 years and we’re not looking to change this. When one project is finished, the next is close on the horizon, take the time in between to brush up on technologies with our corporate access logins, work on over 30 exciting open source projects, or take some time to relax and reward yourself for a job well done. Just because a project is done, does not mean you’re employment is done! You will work together on a dedicated team with your eye on one finish line at a time. Our teams are nimble and agile, and cover the technical range you would expect from world class product delivery teams. We believe in learning and provide unique programs that improve your tech skills, leadership skills and even challenge you in personal development. CleverWednesdays, guest speakers, leadership training, mentorship opportunities and in-depth industry exposure are all on offer here. And of course, if you speak at a tech conference, we cover all expenses. Keep your eye on the mail - we send out swag everywhere in the world and there are celebratory pictures of Clevertech socks, hoodies, and mugs all over Slack. Earn swag through providing support to your team, being one step ahead, working at a delightful speed, OWNING IT, and much more!